Throughout our lives, unexpected events are likely to occur and when this happens we could find ourselves negatively affected. Whilst there is little you can do to accurately predict the future, there are ways in which you can protect your finances from harm – and that is through insurance. Insurance products come in a variety of formats and here at Mortgage2day we offer expert guidance and assistance on all of these. Nobody wants to feel vulnerable and, with the right insurance product, you can enjoy your live without fear of the future. The UK has the biggest insurance industry in all of Europe and one of the biggest in the entire world. This means that, for British consumers, there is an extensive selection of insurances available. Whilst insuring you car is a legal requirement, other forms of insurance are not mandatory and this means some people do not invest in the cover, leaving themselves exposed to greater risks.- The main types of insurance product which consumers are advised to obtain are life insurance and home insurance. Life insurance is a product which offers a monetary payout to your next of kin following your death, however, it can also be used to fund medical treatment in your later years through critical illness insurance. 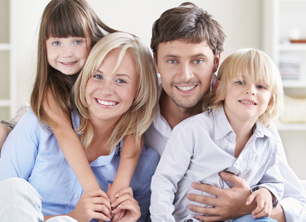 Home insurance is used to protect the building the property in which you live. Policies which cover both the building and contents are known as comprehensive policies whilst those which only cover one of the two factors are known as building insurance and contents insurance accordingly. We all know that you can take no chances when it comes to protecting yourself and this is why obtaining insurance is necessary. No matter what type of product you are looking for, our team of friendly and professional staff at Mortgage2day will be happy to help. In order to obtain insurance, all you need to do is speak to us and make your enquiry. We will obtain all of the information needed to lodge the application and then submit it on your behalf. This means that you will not be inconvenienced by lengthy application processes, letting us do all the hard work for you. Make sure you consider every aspect of your insurance policy thoroughly before signing any agreements and speak to the experts at Mortgage2day for guidance. With home insurance policies, consider the type of cover you need and make sure your home is valued accurately. This is important as the protection you receive on your home’s contents will be determined by their value and undervaluing your possessions could see you lose out in the event that you have to make a claim. With life insurance policies, make sure that all aspects of your finances are taken into consideration and don’t neglect large financial responsibilities such as your mortgage. A mortgage is one of the biggest loans which we are likely to take out over our lifetime and can cause significant disruption in the event that they are not paid before our deaths. Investing in life insurance which covers these repayments is therefore highly recommended and is a great way to obtain mortgage protection. Of course, life insurance is not the only type of mortgage protection which you should consider. It may also be worthwhile considering products which cover your payments if you become unemployed or suffer a loss in earnings. These are common occurrences which can cause widespread disruption to households if adequate protection is not obtained and the advisors at Mortgage2day can help you establish whether this product is right for you. Fill in our simple contact form and a member of our team will call you to discuss your requirements. Mortgage2day.co.uk is a trading style of Loan2day Ltd who is an appointed representative of Intrinsic Mortgage Planning Limited, who is authorised and regulated by the Financial Conduct Authority.